This cozy and picturesque Canton, Ohio hotel offers a convenient location to the Pro Football Hall of Fame, Akron Canton Airport and Stark State University. Whether you are looking to relax, do some work or see the sights, you can do it all while staying at this Canton, OH hotel. Located just a short drive away from many popular attractions - including Belden Village Mall, McKinley Museum & Monument, Classic Car Museum, First Ladies Museum and Stark County Fairgrounds - you'll never run out of things to do while staying at this Akron Canton Airport hotel. Enjoy fresh air and warm sunshine on the greens of one of 39 golf courses located within 20 miles of this Canton, OH hotel, Others stay at this Ohio Best Western during the area's popular events, including the PGA World Series of Golf, Yankee Peddler Festival, All America Soap Box Derby, sports meets & tournaments. Those traveling on business have just a short commute to Canton's corporate locations and local businesses, including Timken Research Company, Diebold Incorporated and Aultman Hospital. Those looking to visit the area's students and faculty will have just a short commute from Walsh University, Malone College & Stark State University from this Canton, OH hotel. The Akron Canton Airport is just 1.5 miles away from this Ohio hotel. 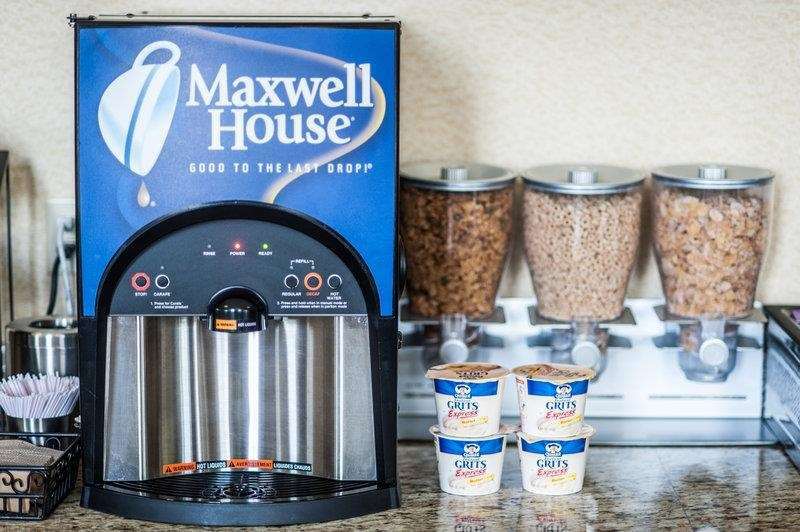 The luxurious, clean rooms at this Ohio Best Western offer free high-speed internet access, cable satellite television with free HBO , single serve coffee maker, a microwave, a refrigerator & more. Wake up feeling refreshed to a complimentary full breakfast at this Canton, OH hotel. Unwind or play at this Canton, OH hotel's sparkling indoor pool and hot tub. While staying at this Canton hotel, guests can also enjoy an exercise facility, free parking, guest laundry, a business center and complimentary airport shuttle. For a great stay with phenomenal service at a welcoming hotel in Canton, Ohio, reserve a stay at Best Western Plus North Canton Inn & Suites! Geisen Haus: 1.00 mile(s) from Geisen Haus, bar/lounge, American, open for: lunch, dinner, authentic German American cuisine. Olive Garden: 5.00 mile(s) from Olive Garden, bar/lounge, Italian, open for: lunch, dinner, reservations are recommended. Cracker Barrel : Adjacent to Cracker Barrel , bar/lounge, American, open for: breakfast, lunch, dinner, parking available for semi's, buses, RVs. Garden - 5.00 mile(s) from Olive Garden, bar/lounge, Italian, open for: lunch, dinner, reservations are recommended. From: Cleveland. Take Interstate 77 south to Exit 111. Turn right off the exit and right onto Sunset Strip Avenue Northwest. The Best Western Plus North Canton Inn & Suites is just ahead. From: Cambridge. Take Interstate 77 North to Exit 111 turn left off the exit and right onto Sunset Strip Avenue Northwest. The Best Western Plus North Canton Inn & Suites is just ahead. From: Youngstown. Take Interstate 76 West to Interstate 77 South. Take Interstate 77 South to Exit 111 turn right off the exit and right onto Sunset Strip Avenue Northwest. The Best Western Plus North Canton Inn & Suites is just ahead. From: Toledo. Take the Ohio Turnpike 80 to Interstate 77 South to Exit 111 turn right off the exit and right onto Sunset Strip Avenue Northwest. The Best Western Plus North Canton Inn & Suites is just ahead. Inventure Place,20.00 mile(s) from Inventure Place, check out the National Inventors Hall Of Fame. The Pro Football Hall of Fame.4.00 mile(s) from The Pro Football Hall of Fame. Akron Fossils & Science C,25.00 mile(s) from Akron Fossils & Science C, features hands-on guided tours and science activities. Exhibits display many fossils from Ohio and around the world. This is a 4,500 square foot museum and 2.50 acre outdoor adventure park.